You are currently browsing the tag archive for the ‘childhood’ tag. I blocked so much of E.T. out as a kid—the “bad guy” scientists and the decrepit grayness E.T. became as he struggled to survive on earth. I know, that’s practically the whole film, but what I remembered was the tenderness E.T. showed toward Elliot, Gerti and Mike. Since most children’s first experience with death is the death of a pet, E.T. fits perfectly in relaying the message that even though those we love have to leave earth, they are always in our hearts and minds. As cheesy as that sounds, it’s a comfort to kids, and adults—earth slowly kills us all. The film opens in the wooded forest of Northern California with E.T. being left behind as his family flees the humans hunting them. No one speaks for the first eight and a half minutes as John Williams’ score floods the green vegetation and ears of the audience. This first eight minutes is a perfect snippet of the entire film’s simplicity: from Elliot showing E.T. who Boba Fett is to Elliot and E.T.’s final bike flying together. The story is basic, yet affects all of us on the deepest level. It is love and mystery that keeps humanity alive beyond reasonable understanding in a world that is full of violence and hate. From E.T.’s first breath on earth all he wanted was to explore and find a place of safety (and maybe Reese’s Pieces), and Elliot gave him this. 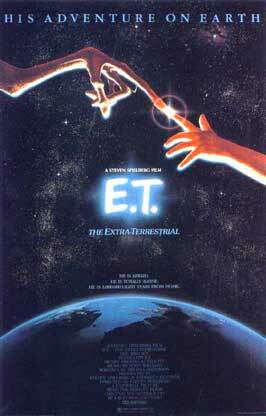 Steven Spielberg created a masterpiece because he used a simple storyline and instilled the knowledge of E.T. and Elliot’s love in his audience, without having to explain anything—and we are enraptured by it. With childlike astonishment we watch, laugh and cry. In the end we remember truly what it was like to be a kid—riding around our neighborhood on bikes, and with tears, we watch E.T. leave earth. The gang is back in indistinguishable fashion, with extraordinary imaginations and a continual knack for finding value in each other, but this time, they’re headed off to day-care. Toy Story spooked me as a kid, sadistic-neighborhood-toy-torturer Sid and all, but I couldn’t not watch it because I loved the gang’s dynamic and they did beat out evil in the end. Now, it’s the same ol’ group of toys, but this time, no Andy, since he’s headed off to college (Am I really that old?). As Andy packs up his room, nostalgia sets in for the toys, and us, as they remember all the fun they had over the years. But they don’t think Andy wants them anymore because Andy’s mom mistakenly donates them to Sunnyside daycare, which isn’t sunny if you’re a toy for toddlers. We cringe and laugh as the toys find themselves fighting against paint and slobber, without Woody or Buzz. The problem with this great summer success is that there are more obstacles than normal for the gang, and even I got a little restless. It felt like the creators didn’t want it to end with curtain call after curtain call of near death experiences for the toys, creating darker than normal situations. The film noir allusions are also a hilarious catch for movie lovers: the sad clown, that nothing is what it seems, and the role of Chatter Telephone. The creators also didn’t miss a toy from my childhood (including troll dolls and farm sounds) and kept adults more engaged than kids, which works since a lot of us adults were kids when the first one came to theaters. 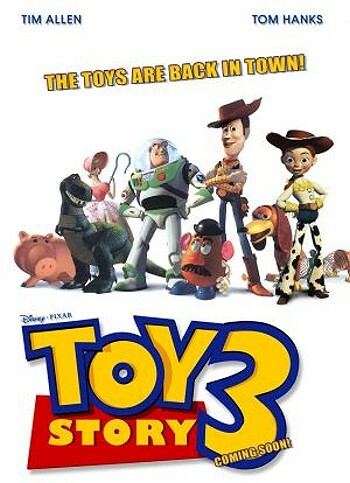 It was the darkest of the Toy’s stories, but the most engaging for adults with just as many hilarious one-liners. After a devastating crop of summer films thus far it’s time to treat yourself and visit Ken (Michael Keaton) and Barbie’s Dream House, meet some new toys and have your imagination challenged. This next decade could be Ben Foster’s. Though he gave excellent performances in 3:10 to Yuma, Six Feet Under and The Messenger, he hasn’t hit his peak and if he plays his cards right, he will. He’s a smart actor and his role alongside Woody Harrelson in The Messenger is no ruse. It’s a great film, taking its time to develop its characters. My only warning: be in the mood for a slow movie because it is far from the stereotypical war film.